Spoiler: Unlike the drink, there’s no risk of going overboard. Mindfulness about what goes into our bodies as well as what goes on them is a pretty awesome thing. But what happens when we fall prey to simple ploys of brilliant marketing and great PR, especially in hair products? Just like there are hot and trendy ingredients (avocado, coconut oil, Argan oil), there are also those on the opposite end of the consumer perception spectrum (alcohol, sulfates) that have been, as some would say, unfairly demonized for years. 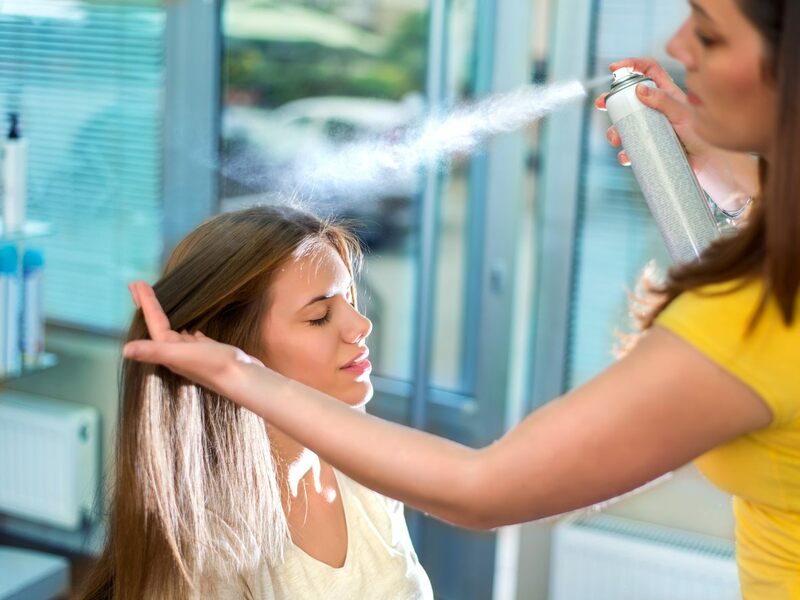 The concept of alcohol free hairspray in particular is a buzzword circling the industry for its purported non-drying benefits. But is alcohol really as detrimental as the public has condemned it to be? (*Resists cracking dad joke about happy hour*) Or is this just another example of alternative facts? Hi Leon! Okay, first things first: Is there such a thing as alcohol free hairspray? Can you expound on that? What exactly goes into a hairspray, or how does it work? Interesting. What kinds of hold do anhydrous hairsprays offer? Okay, now for the million-dollar question: What’s the big deal with alcohol free hairspray? What’s the difference between an alcohol free hairspray and a regular alcohol hairspray, if there is one? Alcohol-based hairsprays are actually safe and non-drying, contrary to popular belief. Hmm. Not very appealing. And as for the effects of alcohol, does it actually dry out your hair? So let’s repeat that: There’s really no benefit to having an alcohol free hairspray other than just saying it’s alcohol free? “Yes. But once again it’s all about consumer perception. There’s a huge trade-off between [being able to say it’s] alcohol-free and [then the reality of the] way it actually feels during and after use. It leaves hair wetter, leaves bigger droplets, takes long to dry and looks clumpier. The bigger the particles are, the clumpier your hairspray will be. Alcohol is a very fine spray and dries very quickly, leaving a much better performing spray. It’s all about consumer perception, like the whole sulfates/no sulfates [debate]. Check out how often you really should wash curly hair.